Windows XP still resides on a third of all desktop and laptops. When they all stop receiving security updates, they will all become runaway trains headed toward the great botnet sea, collecting viruses that hurt not only their owners but will significantly amplify the strength of hackers to attack the rest of the Internet. 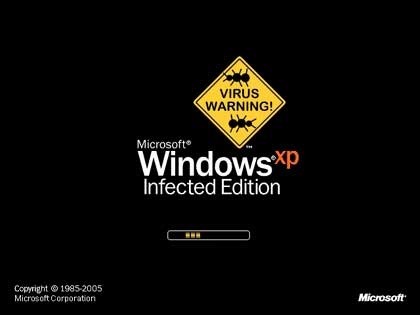 I believe cutting the cord of security updates to computers running Windows XP is not just irresponsible, it will make the Internet significantly and unacceptably more dangerous to everyone, and should be regarded as an avoidable maneuver of negligence that threatens national – and global – security. 3) Send out a kill signal that forces all XP machines offline. No I think they need to cut support. By fixing these botnet issues gives me job security. Taking is support away from current generation OS and making those less secure with fewer resources to patch. > Send out a kill signal that forces all XP machines offline. Literally just taking something that someone has paid for and owns, also known as stealing or grand theft operating system. Well Matt, clearly you and I are not on the same page regarding how bad enough it already is that XP machines exist in such massive numbers and how much worse the situation will become when they are unleashed from security updates. I say national security with a straight face. The cost to Microsoft to continue to support XP will surely be nothing compared to how much their failure to do that will cost the world. Thirty percent of all desktops and laptops! That outnumbers Windows 8 threefold. Let them send the feds a bill if it would make you feel better. Even automobiles have a ten year limitation for free remedies on safety recalls. Microsoft has already offered a fix: Windows 7 and Windows 8. Given the lead time businesses have known tis was coming, it should be on them to deal with the issue. For consumers, its up to them but its not like staying on XP is a good option even on most old hardware. XP needs to die. Does Microsoft need to continue to support such an old OS? I don’t think so. As technology advances, companies and organizations that use Windows need to evolve with it. It pains me when I see XP at sites that I go to for work. I know that I’m in for a rough trip when that happens.